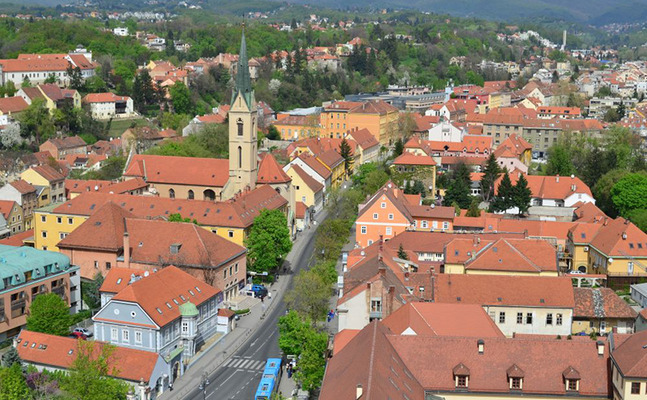 Panoramic ride through the Old Town & Downtown area + excursion to the town of Samobor (25 km drive) with beautiful townhouses, promenades and viewpoints . After famous Samobor kremsnita on the Main square we go to the hills to taste some bermet, a local aromatic wine served as aperitif. If the weather permits, the return trip will take us accross Sava river on a ferry-boat/raft. 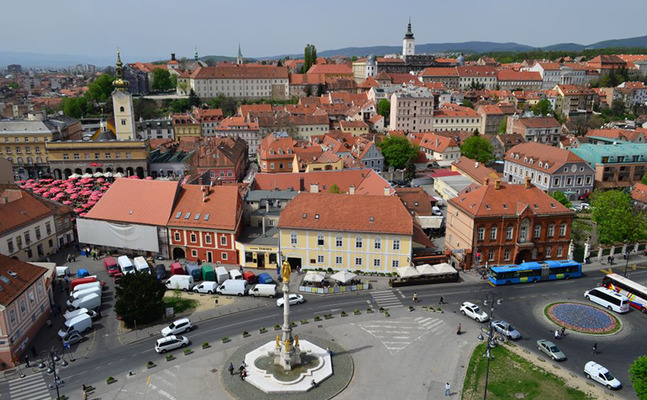 Includes: kremsnita on the Main square, tasting of Bermet, a local aromatic wine, refreshments along the way, ferry-boat ride and a small surprise. Extra: entrance fee to the caves. 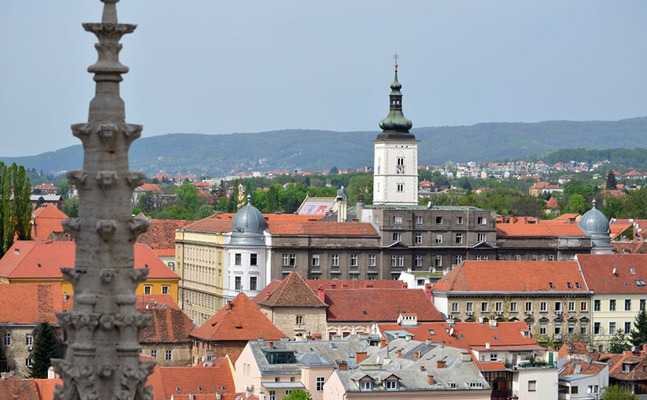 We see the highligts of the old Town and Downtown area from the car and make several stops for photography. 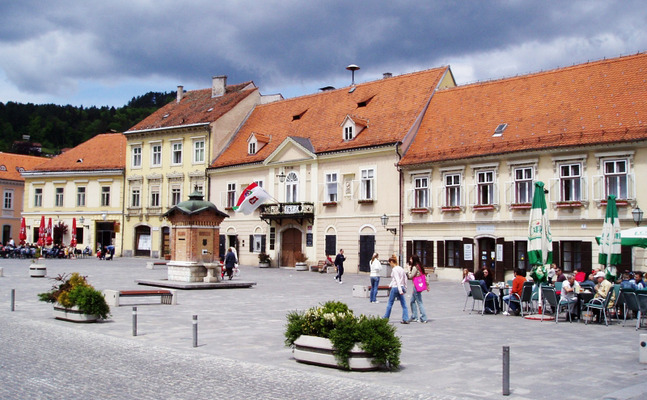 Samobor is one of the earliest tourist resorts in the region, with the first tourist facilities dating back to 1810, catering to anglers, and hikers. 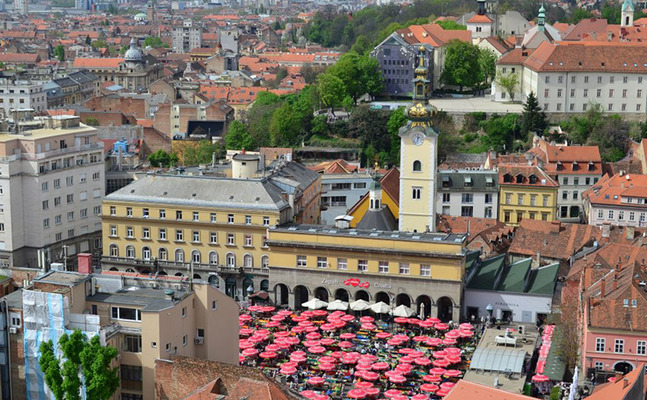 The town's beautiful surroundings and vicinity to the capital have supported this tourist tradition to the present day. 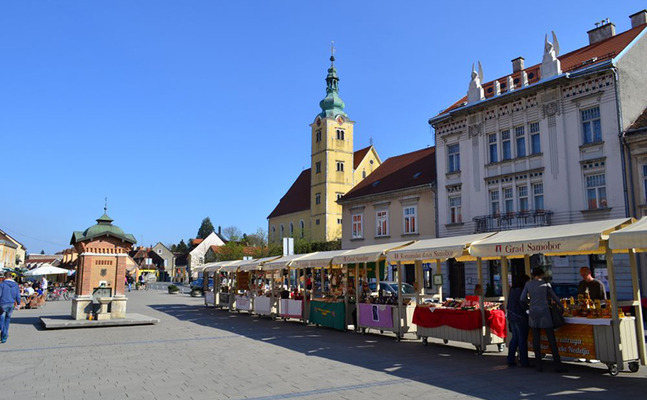 Samobor is also a city of crafts. 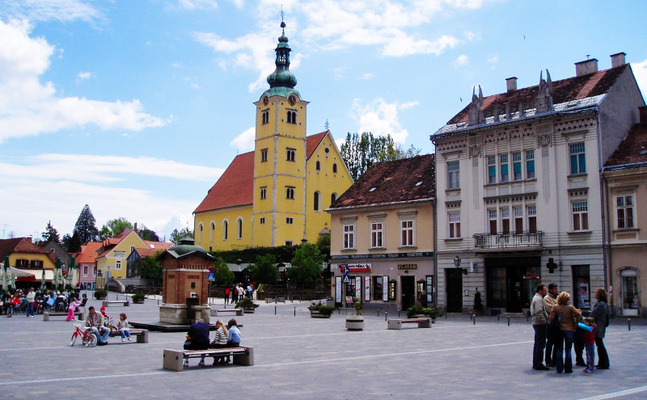 The number of craftsmen in Samobor was always significant. 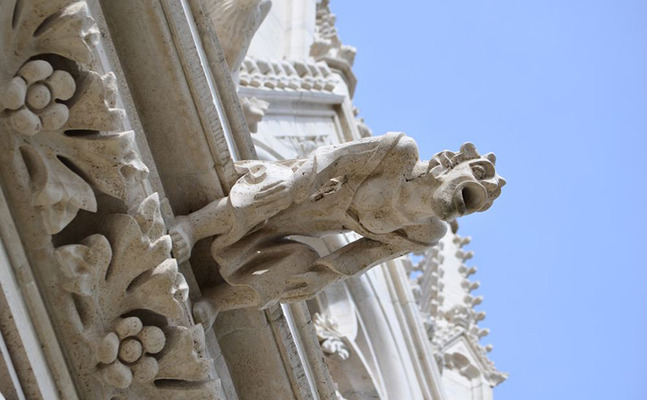 In 1754 there has been a total of 148 craftsmen and 28 different professions. Some of them have been preserved till today (crystal, tradition of making bermet – a local aromatic wine, honey and local salami, handmade soaps and cosmetics etc.). During our walk along Gradna stream, look carefully into the water, you might see some fine specimens of trouts. 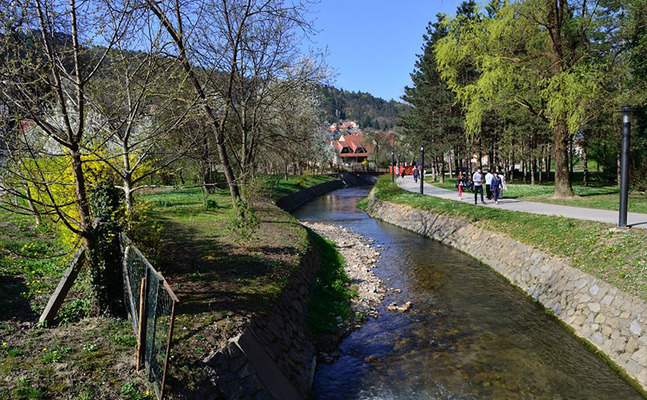 Waters around Samobor abound in trouts. 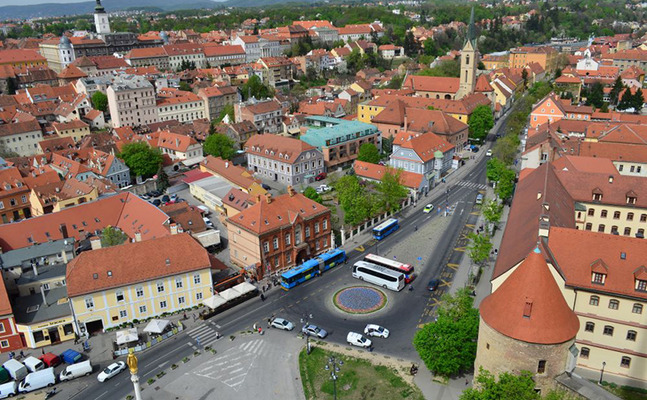 In 13th century Hungarian king Bela IV signed the Golden Bull for two cities – Gradec (in Zagreb) and Samobor. This meant that these two cities got a privilege to become free royal cities subjected to noone but the king. This of course attracted many merchants and craftsmen to come and open their small businesses here. 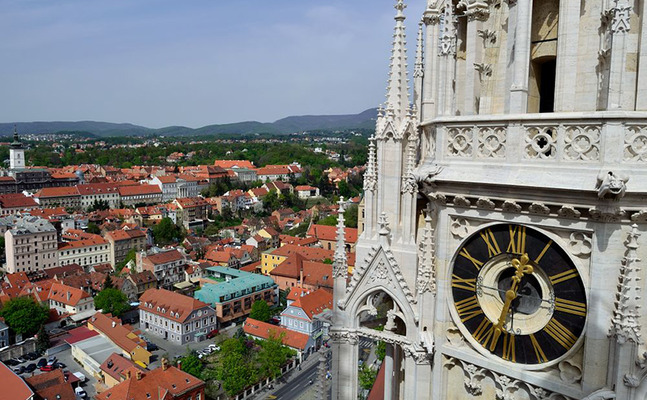 By sitting in one of the lovely cafes on the Main square, you will absorb the charm of this lovely little town that still cherish its centuries old craftsmen and commercial tradition. 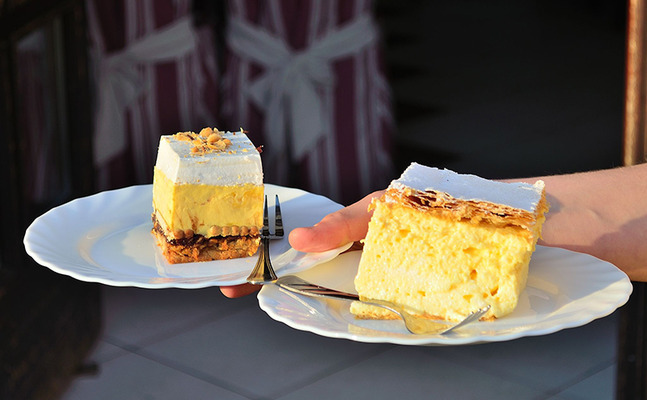 You will try delicious Samobor cream cakes („kremsnite“), the best in the country! 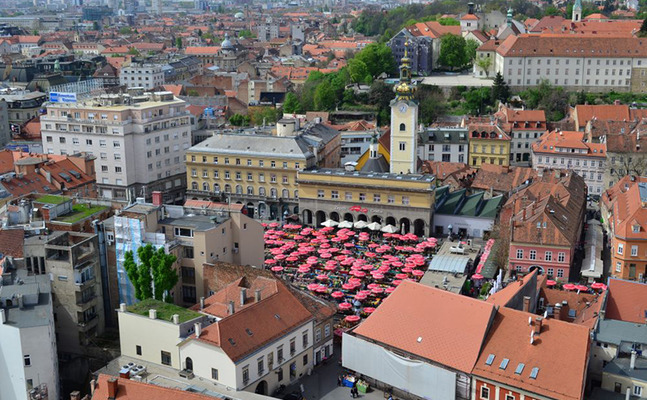 You will hear the unhappy love story between poet Stanko Vraz and his muse Ljubica Cantilly whose house is on the main square. 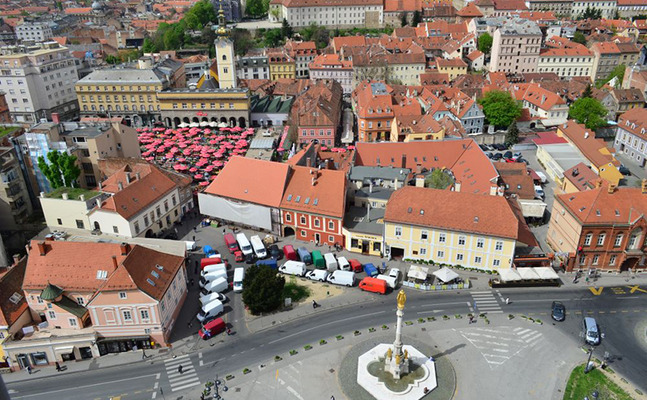 One of the most exciting Carnivals in Croatia has been taking place on Samobor's Main square from the 19th century. 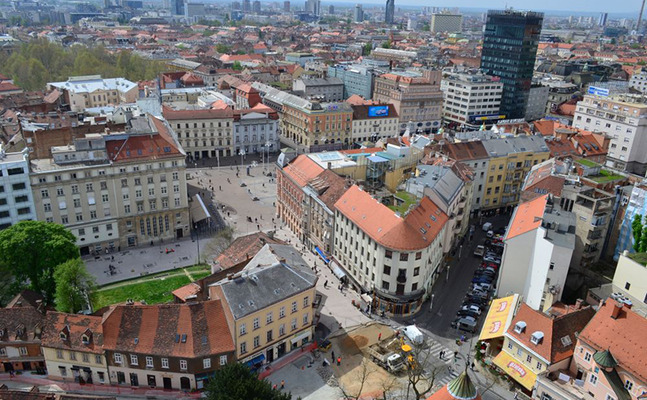 We will visit the grave of Ljubica Cantilly, a muse of the poet, right beside the Church. This is the gathering place for Summer festival of poetry every year. 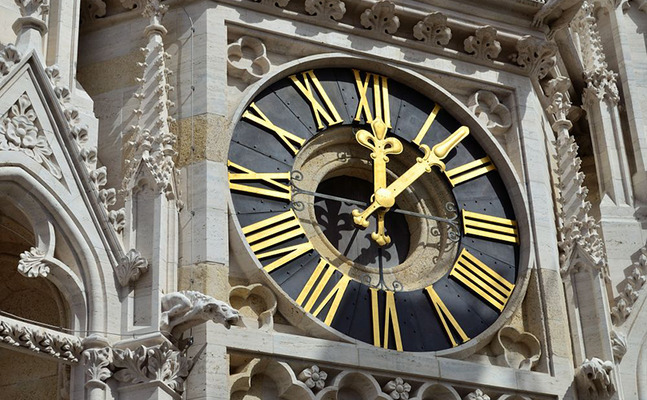 The parish Church of St Anastasia is mentioned as early as 14th century. 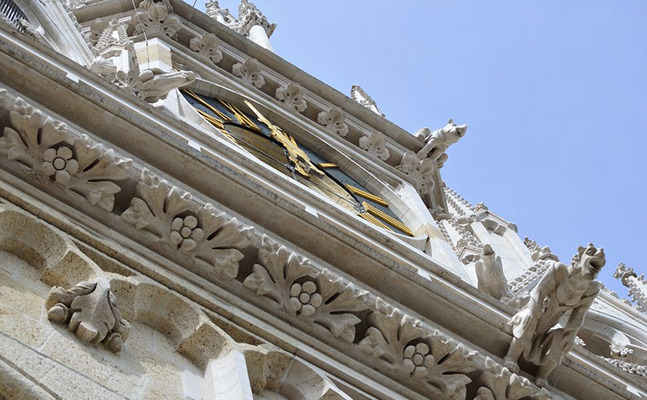 The present church was completed in 1675 and is one of the rare early Baroque churches in Croatia. 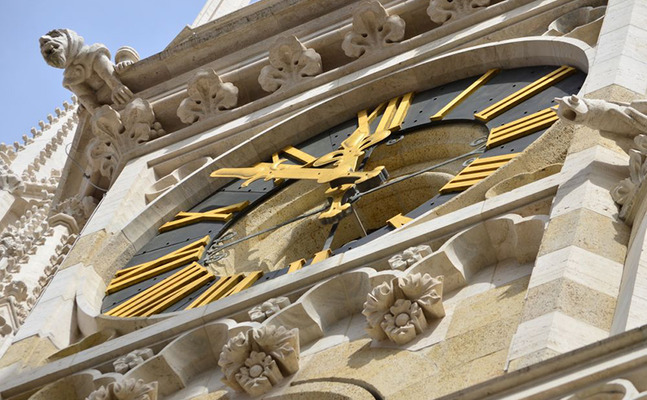 Also it is the only church in northern Croatia dedicated to St Anastasia. 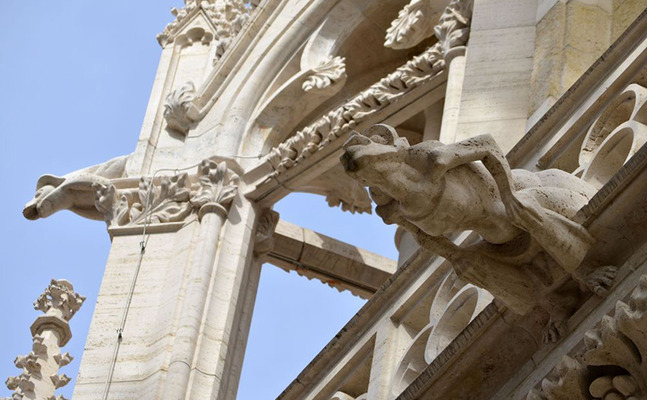 By the entrance you will see the sculpture of the „Sad Christ“. 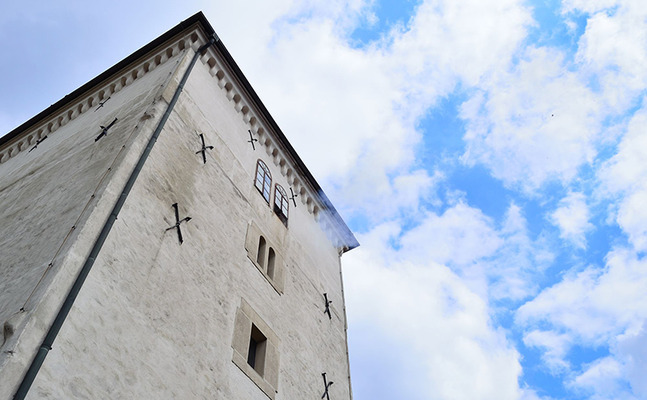 Walk along GRADNA CREEK towards the ruins of the SAMOBOR CASTLE. Today the Samobor Castle is just a picturesque ruin on the hill above the small creek Gradna so we won't go all the way. You will have plenty of opportunity to take photos and enjoy the beautiful greenery and peaceful surrounding of this place. First we'll pass by the SAMOBOR MUSEUM, once the house of the famous resident Ferdo Livadic, a composer and a friend of Franz Liszt who stayed at this house in 1846 and played on the piano that is still on display in the Museum. Ferdo Livadić was the first modern Croatian composer, the founder of the national style in Croatian music, and one of the leaders of The Illyrian Movement - the Croatian National Revival in the mid 19th century. We continue our walk along Gradna creek towards the ruins of the castle on the Tepec hill. There are still visible remains of the moat, the massive entrance and most of the walls. The first fort on this site was erected as early as 13th century. 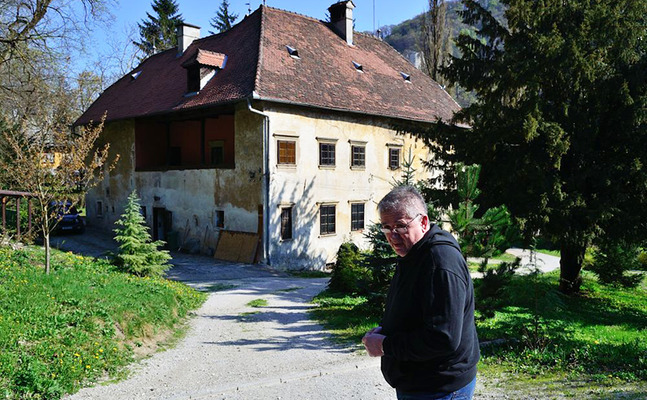 After the nice walk we go back to the car and drive towards PRAUNSPERGER-BOSNJAK MANORHOUSE from the 16th century. 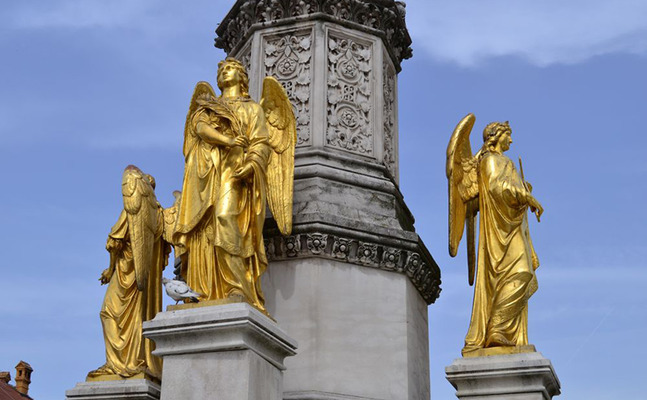 It is the 1st category monument, kept by the same family from the beginning. Today's descendent has a small manufacture here and produces handmade soaps and cosmetics. One of famous Napoleons generals, Marshall Marmont, slept in this castle at the beginning of the 19th century as recored in the books. The bed is still kept by the present day owner. We will only see the house from the outside as it is not open for public but you might have a chance to see the owner and you will get a little present produced here! 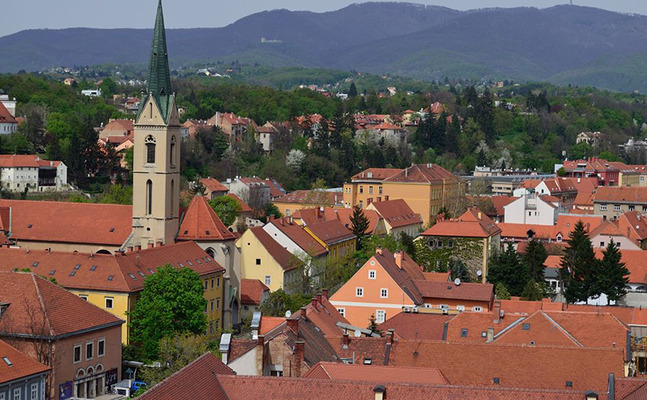 We continue our drive to the hills above Samobor, famous for vineyards, hiking and great views. We will visit PAVLIN HOUSEHOLD AND WINERY and taste their DELICIOUS BERMET – aromatic wine served as an aperitif. It is made from selected sorts of grapes, wormwood and southern fruit. 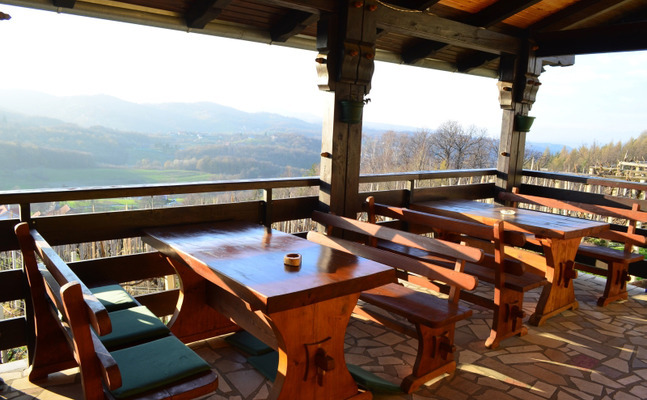 We will enjoy the beautiful view of the surrounding hills while sipping a traditional Samobor aperitif. After the break we continue the drive through Vrhovčak village with charming CHURCH OF ST VITUS (present church is from 16th century). Possibility to stop at GRGOS CAVES in the next village of Otrusevac (visit to the Caves is optional, entrance fee is 15 kn). 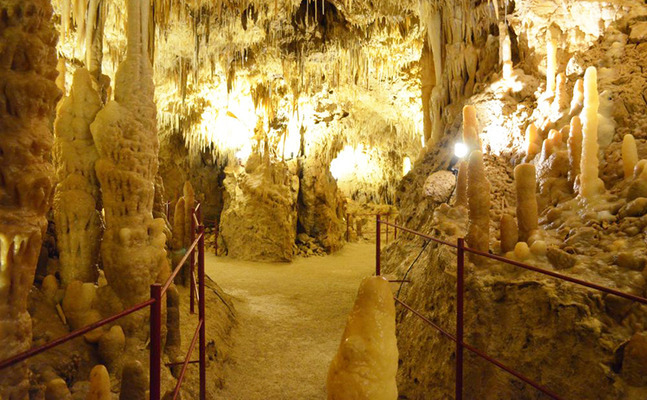 The cave was discovered by the landowner Josip Grgos in 1973 and is today one of the biggest attracions in the area (there are two caves open for public, a smaller one of 60 m and a bigger one rich in stalactites and stalagmites – both caves are electrified). We leave Samobor region and drive towards Sava river. SAVA RIVER - Sava flows through Slovenia, Croatia, along the northern border of Bosnia and Herzegovina, through Serbia, discharging into the Danube in Belgrade. It is 990 kilometres (615 miles) long and is the greatest tributary of the Danube by volume of water. There are only three ferries that still operate in this part of the country. We will take one to go accross the river the very old fashioned way. This ferry connects the city of Samobor with the city of Zapresic and shortens the trip for many commuters who travel to work on a daily basis. Vrancic family from Medsave, a small village by the river have been steering the ferry for generations. We will tell you the story about the unfortunate event that happened here 7 years ago and you will have plenty of time to take photos and listen to the sound of the river flowing underneath. Quite an adventure! After the ferry we continue our drive back towards ZAGREB (30 min).